There’s no question about it: summer is the busiest time of year for moving. With kids out of school, houses being sold, and people getting married, the months of May through September are a busy time for moving companies and homeowners alike. The warm weather is an asset to Northerners who are celebrating the end of the snow, but for Floridians, summer can bring added headaches to an already stressful move. 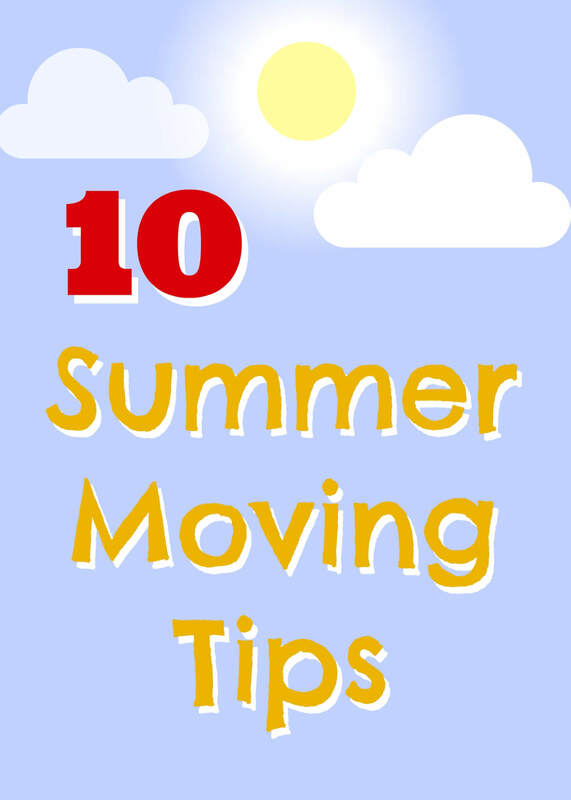 Cento Family Moving & Storage has come up with 10 summer moving tips to help you beat the heat while relocating your family during a hot Florida summer. Summer is a popular time for moves, which means you’ll be fighting everybody else for an available moving crew. Reserve the crew as soon as you know you plan to move (6 or more weeks in advance is best) and try to move in the middle of the month on a weekday (those are the least busy times for moving crews). If you’re still having difficulty finding someone short notice, ask the buyers of your place (or the sellers of your new one) if they are using a moving company and see if they are willing to take you on. Like any industry, moving has its fair share of scams, and they like to pop up when demand is high. For most people, this is an easy, split-second decision, but stop to consider whether you will be able to finish all of the packing in time for the move. If you decide last minute that you need a moving crew to help you, they might not have people available to do the job. Summer is a busy time for everyone and you don’t want to be left in the lurch last minute. Other states have to worry about frostbite. Here in Florida, we worry about heatstroke. Whether you’re moving yourself or using a team, make sure you have plenty of cold drinks available to help beat the heat while lifting heavy boxes and furniture. Make sure you offer cold drinks as well as plenty of breaks to the moving crew on a humid Florida day. Hot weather can do a lot of damage to candles, leather, furniture, and electronics (just to name a few). When packing, consider the conditions on the moving van. No air conditioning, hot metal, and a long drive can ruin certain items before they even make it off the truck. Take precautions by keeping candles and other easily damaged items in your car and wrapping leather couches in cloth padding rather than plastic. Lightweight, light-colored clothing is a lifesaver when the temperature rises. Pack up your jeans and button-down blouses and opt for shorts, cotton shirts, and plenty of sunscreen. If you are prone to burning and heatstroke, consider wearing a very lightweight long-sleeved white shirt to block some of the sun’s rays. It sounds uncomfortable, but if you use the right material, a long-sleeved shirt can actually keep you from overheating. Knowing where everything is going in your new house will keep the move shorter (and getting you that much closer to a shower and a cold glass of lemonade). Sketch out a floor plan of your new house or apartment that includes where the big pieces of furniture will go. Keep it close by so you can quickly inform the moving crew where they’re headed with that heavy armoire. Thanks for sharing, very useful information of moving tips.